Just as it is important for any man to have a help mate, it is doubly important for a pastor to have that ‘special someone’ to assist and fulfill God’s calling for their special assignment which is their ministry. 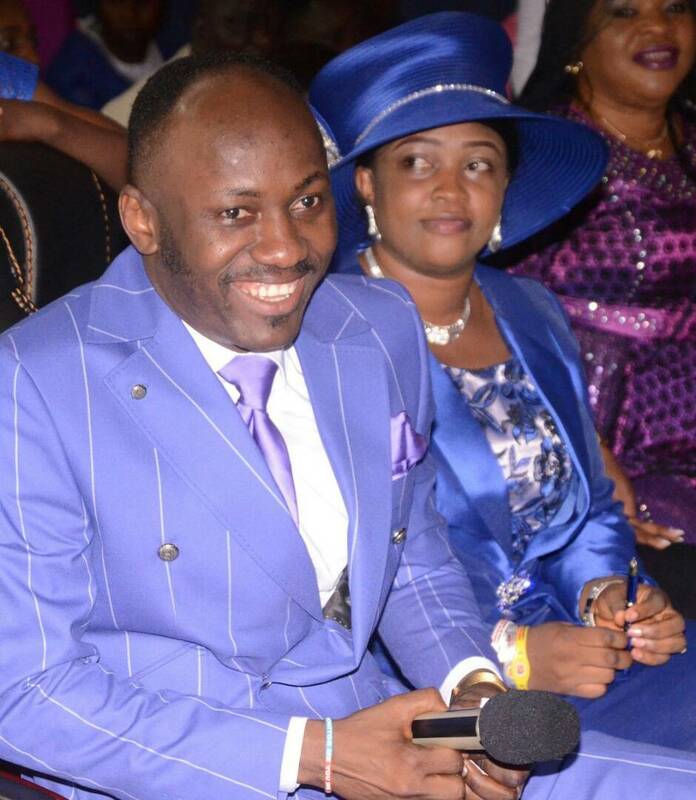 Woman of God, Reverend Lizzy Suleman, wife of the founder and president of Omega Fire Ministries (OFM) worldwide, Apostle (Prof.) Johnson Suleman, is becoming more visible and active in the mission to spread the Gospel. Reverend Lizzy Suleman has always been available in her marvelous calling to minister to and heal souls, a task which can be very challenging, exciting, frustrating, and yet very satisfying. Now, she has taken on an added responsibility of regular teaching of The Word thereby annexing with the OFM mission more homes within and outside Nigeria. Accordingly, Thursday, 10th and Friday, 11th of May, 2018, will be destiny dates as Reverend Lizzy Suleman leads her team on a mega healing crusade tagged ‘Winds of Change’ to Warri in Delta State. The two-day gospel ministration, we gathered, will take place at Omega Fire Ministries Warri 1, Effurun Road, and it promises spiritual, emotional, physical and financial fulfillment for the people of Warri. “It is a call to liberate Warri town and restore failing destinies”, an OFM source said of the Reverend Lizzy led crusade. Similarly, the ‘Oracle of God’, Apostle Suleman, who is presently in South Africa for the country’s 2018 edition of ‘The Supernatural’ crusade, would be visiting two other countries for apostolic missions within the month of May. 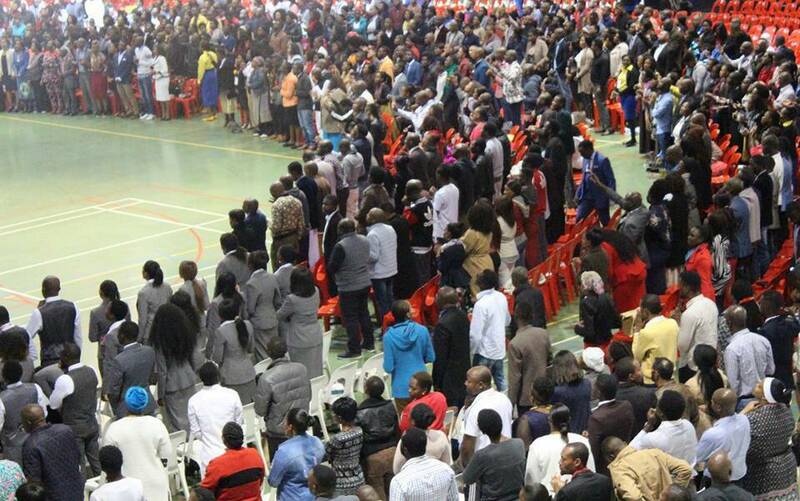 On Wednesday, 9th of May, 2018, the servant of God would be hosting the ‘Ministers Without Blemish’ conference at Walworth Methodist Church, Cambell, London, while he will be hosting the Kenya edition of ‘The Supernatural’ between 15th and 17th of May, 2018 at KICC on Comessa Grounds. 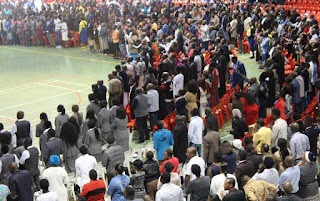 Participants at the South Africa conference, which has other Gospel music ministers from across the country, are being blessed from the dynamic leadership of Apostle Suleman as he imparts into their lives and their worth and value increasing with God.